Drawn from historical battlefields to the Shakespearean theater, the functional blades of Kingston Arms manage to stand out due to their durable designs and authentic period construction. Aficionados of the European sword and practitioners of the warrior arts will find no finer swords than those carried by us. 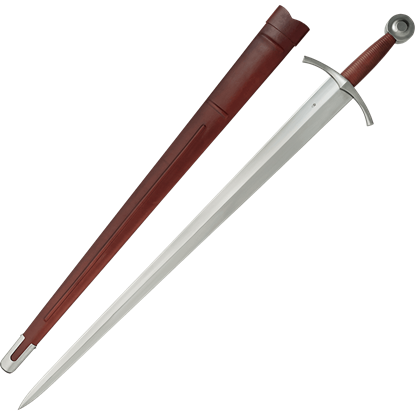 Kingston Arms swords come in sharp and blunt blade designs, specializing in re-enactment, stage combat, and HEMA sparring swords. Their Tourney series, in particular, is ideal for safer fighting with their blunt swords that ring like a bell in combat. 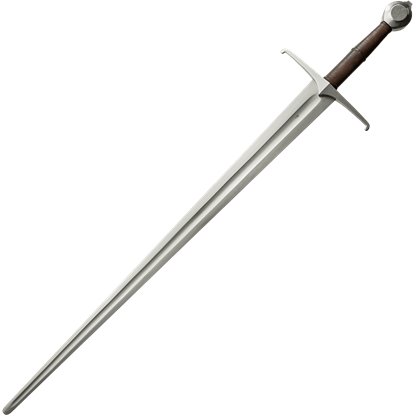 These innovative medieval swords are made with hardened spring steel, peened pommels, and full tangs, ensuring that they can withstand years of use. Anyone who wants a premium functional sword should definitely consider a Kingston Arms blade. In a stunning show of skill and precision, Angus Trim has done it again. By special request, this swordsmith has created the Competition Cutting Longsword to blow away the competition of the Historical European Martial Arts. One of the most prominent encounters of the Hundred Years War, the Battle of Crecy served as a decisive victory of the English over the French. 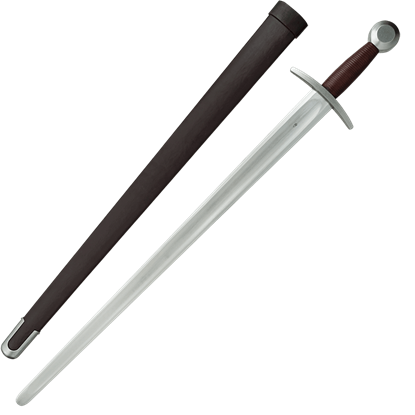 The Crecy War Sword is a researched replica of single-hand swords from the period. Sword shopping can be a bit daunting at times. Which one is the right choice for you? Is there really a right choice? 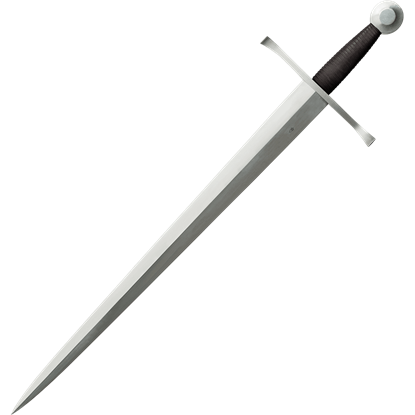 For an all-around exceptional blade, the Single Hand Cruciform Sword is the ideal choice for all sword enthusiasts. 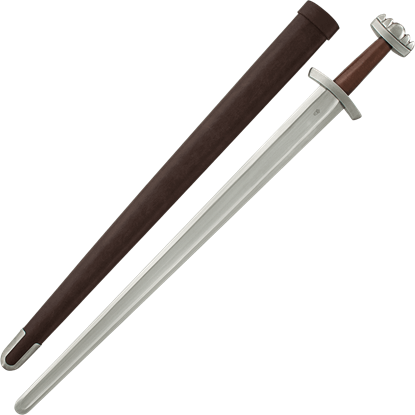 A great example of re-enactment weaponry, the Tourney Arming Sword comes in a blunt design that is perfect for training and stage combat. 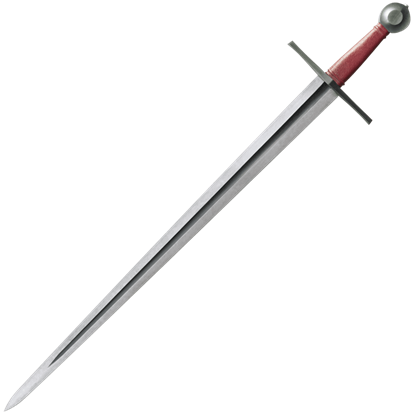 The functional sword is forged from 9260 high carbon spring steel tempered to about 50 Hrc. 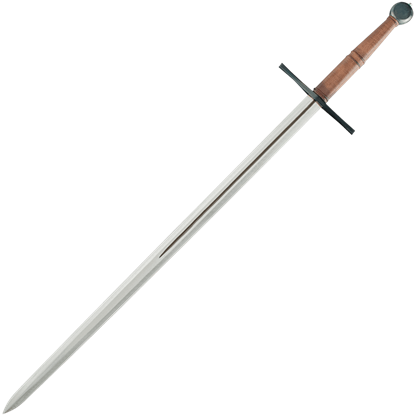 A close recreation of the famous Oakeshott Type XVIIIa.4 sword from Records of the Medieval sword, this Tourney Hand and a Half Knightly Sword has been modified slightly to make it safe for medieval reenactment and stage performance. With a design that rings like a bell when struck in combat, the Tourney Viking Sword serves as a fantastic re-enactment weapon. The functional sword is forged from 9260 spring steel that is tempered to around 50 Hrc. The first in a series of performance oriented swords designed by Gus Trim and produced by Kingston Arms, this Type XVIII Knights Sword features the classic diamond cross section typical of short swords wielded in the 15th century. 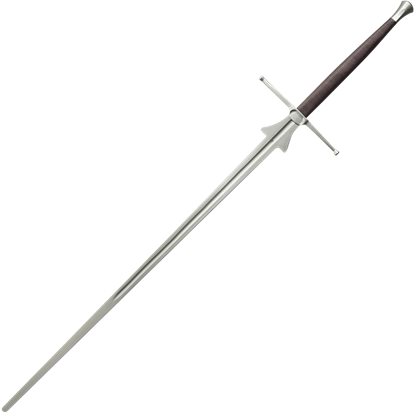 This Type XVIII Medieval Sword is available in limited quantities, due to an error at the forge that caused it to not meet the desired specs. Their mistake means the first and only production run will soon become highly collectible.